I purchased this Rebel T2i as an upgrade to my Canon A720 IS, which I used such a lot of the sensor finally gave out after a couple of years. I wanted a SLR camera for even better photo image quality and widescreen HD video. After reading many reviews and communicating with Canon email support, the Rebel T2i seemed to be the answer. In many respects it is. Its image quality for stills is very good, particularly in low light situations. Its video quality is not quite so good. Chiefly because the Rebel T2i's optical viewfinder doesn't work for video, only for stills. Regarding stabilization it is easier to hold the camera steady with an optical viewfinder. I will need to buy an expensive telephoto lens in order to surpass my A720's stabilized zoom, and a battery grip to record a live show non-stop in HD video. For me, the Rebel T2i is NOT the way to have both a SLR camera and an HD video camera not as i would like anyway. That said, it is an extremely nice camera and the more I learn about its creative features the greater I enjoy using it. Having just got into astrophotgraphy as well this seemed the ideal camera for me. I have yet to delve into all the nuts and bolts, but from my initial attempts looks as though it will do all I want it to. Join in and write your own page! It's easy to do. How? 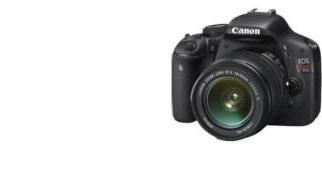 Simply click here to return to Canon EOS Rebel T2i Review.